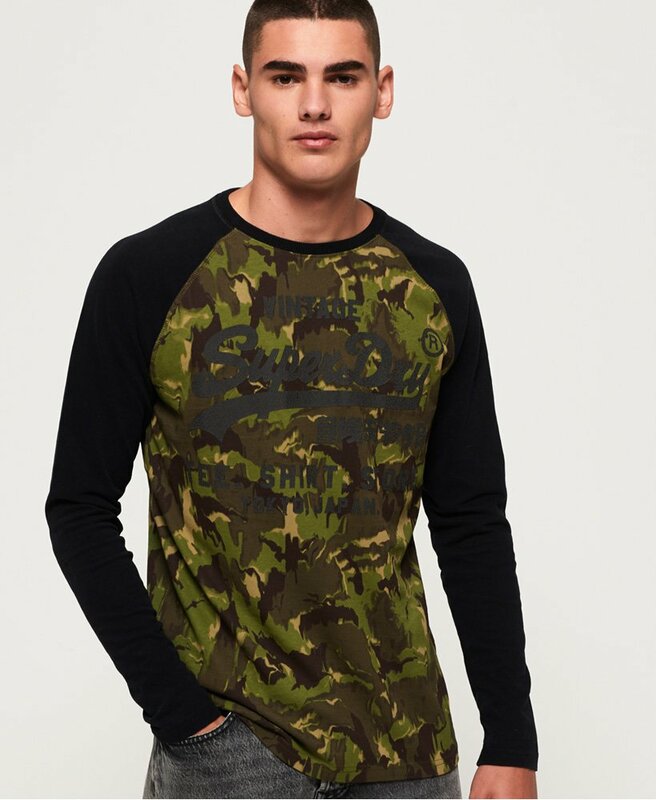 Superdry men’s Shirt Shop camo raglan long sleeve t-shirt. This long sleeve tee is perfect at creating an effortlessly cool look whilst keeping you warm and layered up this season. This tee features a textured Superdry logo across the chest and crew neckline. The contrast sleeves are a nice added touch, allowing you to pair this tee with more clothes in your wardrobe. Team this long sleeve tee with your favourite jeans and boots.